Background/Info: Set up and driven by Stefan Hanser, Anemone Tube has already released an impressive number of releases. 2017 has been a prolific year for this formation. 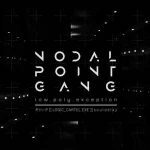 This album has been recorded in between 2013 and 2016 while the field recordings were made in Tokyo and Kyoto back in 2009. There also is a CD version available of this work. Content: The sound takes off a rather industrial way while ambient influences rapidly join in. Spoken samples add a spooky touch . You clearly hear the multiple field recordings, which are more noticeable by using headphones. From stormy sonic waves to sweeping noises, the work sometimes sounds a bit soundscape-minded as well. + + + : Anemone Tube is a band for ambient finer tasters. It’s not exactly the most familiar formation and yet it features a truly sound alchemist. It’s a rough ambient exposure, which also moves into a kind of dark reverie. The industrial elements inject a harder and somewhat ‘naughty’ touch on top of the work. Hanser is a quite creative artist in the use of dark noises and field recordings. I especially recommend both last cuts of the album reaching a total sonic apotheosis reminding me of Cold Meat Industry productions. – – – : Aside of the less accessible sound approach, this album sounds a bit versatile. Anemone Tube moves from one style to another; it however remains a homogenous entity, but I would have preferred to get a more constant dark-ambient style such as both final cuts. Conclusion: Anemone Tube composes ambient/industrial music with a wider spectrum of influences, this way creating a very personal and diversified sound. Best songs: “Like The Streaming Of A Giant River, Life Is Passing Without Ever Turning Around”, “Suicidal Fantasy (Negation Of Myth II”. 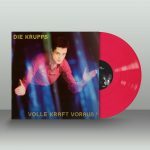 Die Krupps 'Volle Kraft Voraus' gets vinyl treatment including... pink!